Flourish Flock is a fundraising initiative run by and for the Flourish project at Livability Holton Lee. 100 wooden Dartford Warblers have been cut out by the Flourish Project and distributed to our local partners/supporters as well as individuals artists and prominent figures to decorate, 50 to groups and 50 to artists. The Dartford Warbler has been chosen as it can be found nesting and living within the large areas of heath and gorse on the Livability Holton Lee Estate. 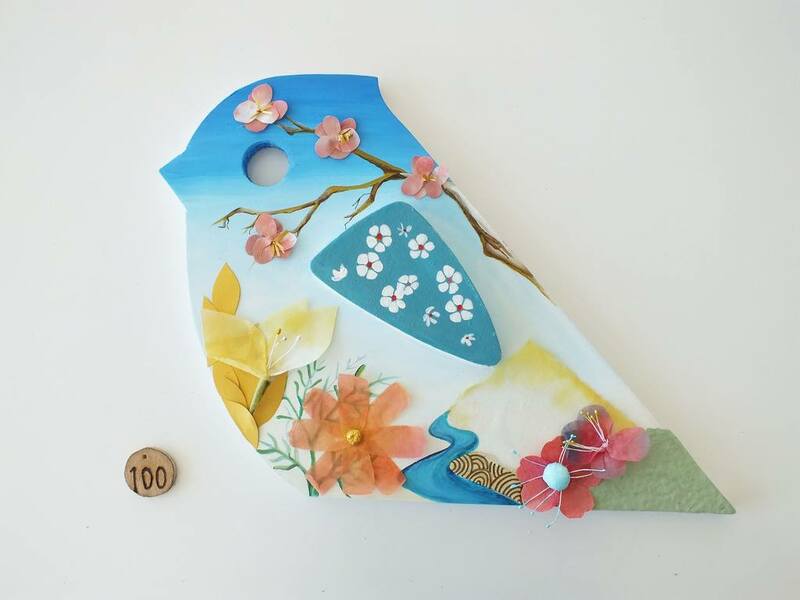 The finished flock of decorated birds will then be displayed at Livability Holton Lee during Purbeck Art Weeks, 26th May – 10th June, followed by other local venues. There will be an auction page on the Facebook – ‘Flourish Flock Auction’ where you will be able to make a bid for the bird that you’d like to purchase. The auction will run until August when the Flourish Flock will be on display for a week at Russell Cotes Museum. It is hoped that through the Flourish Flock Project we raising much needed funds towards Flourish, we can raise awareness of the importance of protecting the special Dartford Warbler in Dorset.